WAN optimisation requires integration partners to squeeze growing amounts of data through bandwidth-restricted links. Danny Bradbury explains how it's done. We may be in the era of high-speed networking, but there's no doubt about it: bandwidth is still a pricey commodity as soon as you go beyond the local area network. With issues such as network latency also affecting application performance, fixing the problem represents an opportunity for resellers. How can you tackle it? WAN optimisation is the digital equivalent of pushing a bowling ball through a drinking straw. Dedicated WAN connections can be expensive, meaning that companies have to economise on the bandwidth that they rent. Conversely, DSL links providing access to a central office via the public Internet have an inherent disparity between downlink and uplink speeds, for example, and can be unreliable in terms of guaranteed speed. Much depends on how far a branch office is from the local exchange. Whichever way you tackle a wide area network, you can benefit greatly from using technology to optimise it. These days, the technology is generally placed at either end of the network connection. The Internet was originally developed as a 'dumb' network. The routing infrastructure that controls TCP/IP networks is inherently simple, and designed to pass packets along indiscriminately. The smarts lie in the equipment that is sending and receiving those packets. It is here where you can make significant efficiency gains for customers, and reduce their overall network cost. "Data centre consolidation is driving the need for WAN optimisation," says Nir Ilani, product marketing director for Radware, which sells WAN optimisation systems for data centres. "Customers are moving from many data centres to several specific ones. The implication here is that most of the employees become very removed, network-wise, from the facility." Consequently, pressures may increase as a smaller number of computing facilities send and receive more data along a smaller number of links. "WAN optimisation isn't new. It's been around for 10-20 years with vendors like Packeteer selling quality of service products," says Jeff Aaron, vice president of marketing at Silver Peak systems, which sells a range of physical and virtual appliances designed to speed up network operation. "What's changed is that evolved from a tactical technology to a strategic investment, where an enterprise says that wherever it's deploying a new branch office, it will install WAN optimisation." " WAN optimisation technology is a useful way to address problems with existing applications, say experts. "It is a useful way to defer the cost of bandwidth upgrades," says Mark Lewis, senior director for marketing and alliances in EMEA at WAN optimisation firm Riverbed. With companies hurting after the financial crisis, many will be focusing on band-aid solutions to network bandwidth issues, rather than significant service upgrades - yet at the same time, they will be preparing to scale up branch offices as economic recovery brings the opportunity for growth. The capital expenditure on WAN optimisation appliances may be a small price to pay for the operational overhead associated with increased bandwidth contracts. The cost of bandwidth may be falling, but the pressure on networks continues to increase. In any case, it is important not to equate bandwidth with latency, warns Ian Foddering, CTO at Cisco UK. "Latency is a key component, because while you can have big bandwdith, you may not necessarily have low latency," he says. "We still see a strong case for deploying WAS in environments with latency as low as 5 milliseconds. It's therefore still a compelling case for customers." Video files have a big impact on both latency and bandwidth. Cisco recently estimated that around half of the traffic on the Internet is video, and predicts that this will jump to 90% by 2013. At its Symposium and ITxpo event in October, Gartner predicted that this technology is on the verge of bleeding extensively into the enterprise, as has happened with other technologies, such as instant messaging, social networking, and Web 2.0. It believes that by 2013, 25% of all data that employees see will be audio, pictures, or video. Its executives have advised firms to start planning strategically for the technology in the next two years. Video is a great talking point for WAN optimisation sales. However, Chris Webber, product marketing for WAN optimisation at Blue Coat, says that it brings its own challenges when factored into acceleration projects. "People get the branch office to send traffic to central HQ. So all traffic goes over that link, and video traffic can compromise what you're trying to accelerate," he warns. The added danger is that video these days often transmits over HTTP streams, rather than using a specialised protocol. That makes it more difficult to track, because so much traffic travels via the HTTP protocol (the network protocol that the web operates on). There are several things you can do to support video within your clients' networks, he advises. "If you determine what it is, you can put bandwidth controls around it." This might be possible if, say, video is streaming from a certain fixed switch port. You can also mitigate the effect of the video using stream splitting, a real-time technology used for live video streaming. Unlike multicast solutions, this is a unicast technology, which eliminates the need for a separate networking configuration. Finally, video can be cached locally at branch offices. How can resellers tackle WAN optimisation as a sales opportunity? They should start by testing and benchmarking the applications being used, says Duncan Little, CEO of Oxford-based network consulting firm Open Reality. Part of that involves traffic analysis, to determine which users and applications are doing what. That analysis should provide the consultant with a baseline that can be used to develop a strategy for optimising the WAN. There are some other smart ways to minimise the effect of traffic on the network, such as installing Web content scanners at remote offices to minimise the level of traffic going over the WAN to central scanners. This enables branch offices to surf the net without going back through a central switch at headquarters, while still remaining secure. Tricks such as these are only the tip of the iceberg. There are several other technologies that can be used to manage traffic and make the best possible use of WAN bandwidth. Deduplication is a good example. Systems using this technology intercept the data that is relayed between the client and the server across a WAN link. Whenever it sees a new sequence of data (which would be the case when sending a file that hadn't been requested before, for example), it makes a record of the packet sequence using devices at either end of the WAN link. 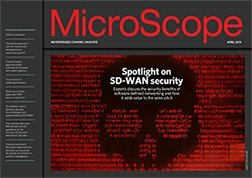 If it sees the same data passing over the WAN again, it will replace the data with a much smaller piece of data indicating what should be there. Deduplication systems can work using tokens - small data 'symbols' designed to represent larger data sequences - or instructions. Instructions tell the devices where to start and stop replacing duplicated data with the original sequence. Deduplication (also known as intelligent compression) is only one technique for optimising a WAN. Another popular mechanism is caching. At a basic level, this is what happens in web browsers. Data that is accessed once is stored locally, so that the next time a browser requests it, it can be retrieved from a local file store instead of sent over the network. Similarly, caching in an enterprise WAN optimisation scenario can be used to store files that are frequently accessed across a WAN on a local device, so that PCs accessing the data at the branch office retrieve it locally. This has a dual benefit, reducing network congestion and speeding up local applications. Caching can be broken into two categories: byte-level caching (essentially deduplication), and object-level caching, which works at the object level, ensuring that documents are cached at the remote site, for example. Object level caching is useful for situations in which files are regularly accessed but infrequently changed. If there are a lot of read-only documents in an organisation, the benefits could be huge. Other technologies include protocol optimisation, which works around the inefficiencies in traditional network protocols. A good example is Microsoft's common internet file system (CIFS), a network protocol that Windows uses to send traffic around a network. When it was first conceived, designers didn't optimise it for wide area links, instead focusing on local area network links, which have more bandwidth. Consequently, it is a 'chatty' protocol. There is a lot of overhead in data transmission streams thanks to lots of small packets, each with a header that must be read and interpreted. CIFS, also known as server message block (SMB), improved with the launch of SMB 2.0, but there are still plenty of CIFS/SMB networks out there to be optimised. One way of optimising protocols involves spoofing. TCP/IP, for example, has characteristics that make it relatively slow when establishing connections. A TCP/IP protocol spoofer might terminate the TCP/IP session locally, removing the header and footer from the TCP/IP session and converting into a proprietary protocol designed for fast transmission over slow links. The correlating appliance at the other end would reconstruct the TCP/IP session from the packets sent, sending on the data to the server, which would see the whole thing as a simple TCP/IP session. Equalising takes a holistic look at the network, weighing different data streams against each other based on parameters that it analyses based on daily behaviour. It understands what the time and data-intensive applications are, as opposed to the non-intensive, non-critical applications, and adjusts the speed of the various data streams so that all users can enjoy a relatively high-speed experience without too much congestion. This technology is particularly useful for overcrowded VPNs, for example, and is more intelligent than simple rate limiting, which simply puts a cap on a particular user's access speed. It is also smarter than traffic shaping, which configures bandwidth caps for certain data streams based on traffic type (it might be used to cap P2P traffic, for example). The disadvantage of all these latter technologies that they don't provide extra space on the link - they simply take smart approaches to allocating what's already there. After deciding which of these approaches to use (including combinations of different technologies), the reseller should also install tools to deal with any alerts that arise as a result of unexpected congestion, adds Little. This also opens up the potential for remote network management for the reseller, which could generate a healthy revenue providing a WAN management service and dealing with congestion issues by tweaking software settings from their own management console. What other technological issues should resellers consider when tackling a WAN optimisation project? Virtualisation is becoming a major force in computing, and it can either work to your advantage or disadvantage in WAN optimisation projects. Consultants should check, for example, that a physical server containing a large number of consolidated logical servers isn't becoming overloaded at the I/O level. Simply having too much traffic for a single port could choke off application performance before the traffic ever reaches a WAN. Virtualisation can also work in your favour, however. "Clients with distributed offices generally have file, print, local storage, and Internet breakout (per site or centralised)," says Cliff Fox, managing director of IT infrastructure specialist SICL. "There's a lot of server sprawl." Consolidating that as part of a WAN optimisation solution, at central HQ can yield savings for the customer in terms of power consumption and physical footprint. Cisco's Wide Area Application Services product provides WAN optimisation services at the server end, with a deployment at the remote site to handle the traffic optimisation there. A virtualised version (Virtual WAAS) runs atop a VMware ESXi hypervisor, providing WAN optimisation facilities to virtual machines, so that everything is contained within the same physical box. At the branch office level, Cisco WAAS Express integrates directly into the Cisco ISR2 router, explains Cisco's Foddering. "Typical branch environments are restricted on footprints, so having the ability to run it in an existing infrastructure makes it easier," he says. The benefits of WAN optimisation make it a no-brainer for clients who want to increase systems performance, reduce computing footprint, and keep operational network costs low. For resellers, it is a chance to increase consulting and integration revenues by simplifying what can be a complex and daunting task. The network links may be narrow, but the potential project margins are broad.